When the cold season is in full swing, nothing can make you more miserable than a broken heater. You shouldn’t have to bundle up inside your own home just to keep warm, which is why you need to find fast heating services from a reputable local company. Luckily, Tiger Mechanical is your heating services Gilbert expert! We understand the importance of getting your home’s heating system back up and running fast. 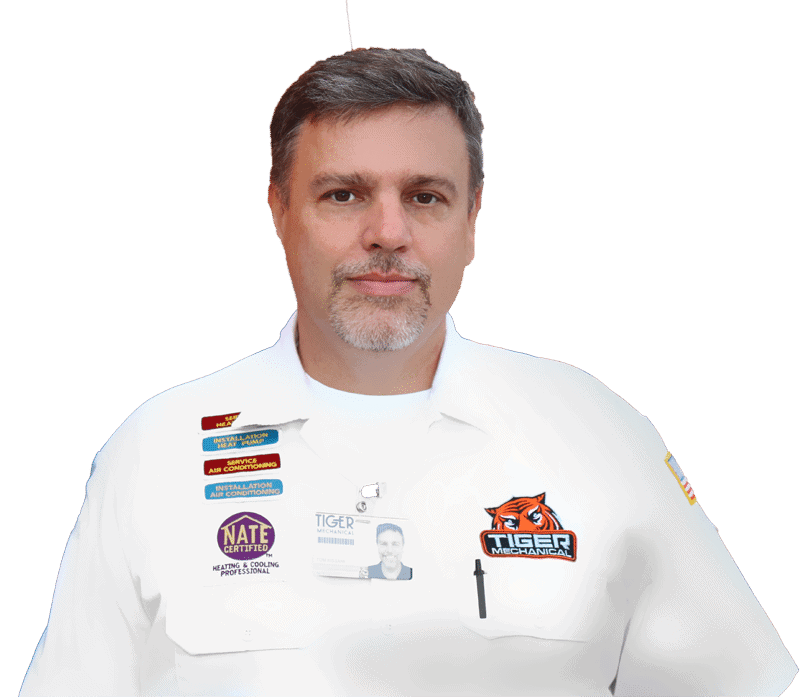 That’s why our seasoned Gilbert heater repair technicians come stocked with common repair parts and aim to fix the problem in just a single visit. And unlike some other companies, we work on the majority of brands so you won’t have to keep searching for someone who services your model. 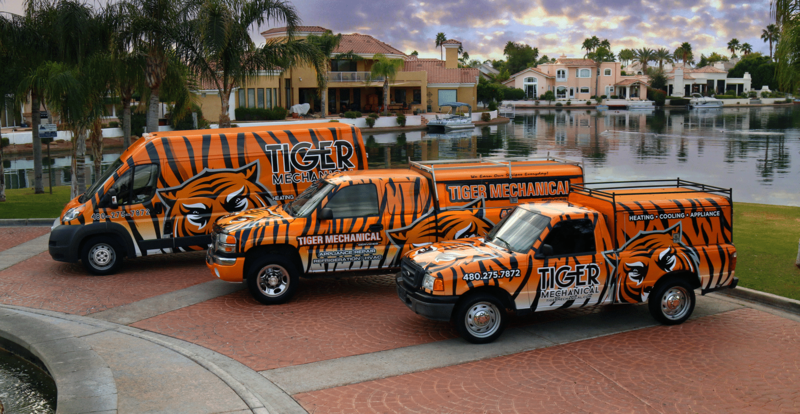 If you’re looking for dependable local heating services from an experienced, knowledgable repair company, look no further than Tiger Mechanical. Our friendly technicians and first-class customer service will leave you warm, cozy, and satisfied with your repair! The heater in your house may only have one simple job to do, but there’s still a lot that can go wrong with. How are you supposed to know when part of your central heating malfunctions or fails? The problem might not be so obvious at first, but noticing the problem sooner rather than later can save you money on more serious heater repairs down the road. The majority of home HVAC systems use a gas or electric furnace to generate hot air which is then blown into each room to warm your house. No other system is more effective at generating heat no matter what temperature you’re trying to reach. For those who don’t live in an area where the weather gets too cold, a heat pump is an ideal solution for warming your house. They work like an air conditioner with a heating component and are far more quiet, energy efficient, safe, and less expensive to run than a traditional furnace. Also servicing Mesa, Gold Canyon, Chandler, Ahwatukee, and more! Learn more about our HVAC repair services.